Admission at the Disney parks now covers all the rides, but it wasn’t always that way. My dad worked at TRW and what I considered to be the biggest benefit of him working there was “TRW Night At Disneyland” simply because all the rides were “free.” Back then, each ride required a ticket, and there were 5 types of tickets A-E. The best rides, like the Matterhorn and the Pirates of the Caribbean, required an E ticket. The expression “an E Ticket Ride” referred to the best, most exciting, or elaborate (Small World) rides. Today, most people associate “E ticket” with ticketless travel on airlines – that’s not fun at all. Microsoft is slowly announcing details about its foray into UCaaS and it will also be an E-ticket ride. For those unfamiliar with Office 365 (O365), organizations can subscribe at different levels. SMB plans are known as “Business Essentials” and they start with a P. Enterprise plans start with an E: E1, E3, and E4. Each level has a price per user per month, but are intended as enterprise wide subscriptions. Microsoft will be launching its PSTN services associated with its O365 Enterprise plans. The company is in the midst of a major transformation from product to services and is focused on moving enterprises to O365 – enterprises like GE. “Cloud PBX” is an odd term from Microsoft. 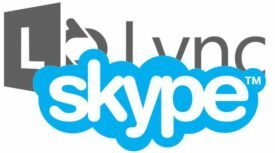 At Ignite in May, Microsoft referred to the same concept as “Cloud Voice.” The PBX moniker is odd because for the past decade Microsoft has been preaching ‘the PBX is Dead.’ Furthermore, the feature does not include PSTN. It is meant to describe cloud-based call control that can utilize PSTN services that are either premises-based or O365 provided. The premises-based solution involves a new type of server pool that Microsoft is architecting. This is conceptually similar to the AudioCodes OneBox appliance. If you think expensive when you hear “server pool” you are probably right – this is a mission critical piece to the hybrid puzzle that isn’t trivial, however, Microsoft intends to simplify the premises-based component of its hybrid architecture over time. I expect the hybrid model will be more popular than the pure cloud model – at least initially. That’s because of the feature disparity between Microsoft hosted and premises-based Skype4B deployments. This disparity will shrink and likely disappear over the next year or so. Organizations seeking a pure cloud UCaaS service from Microsoft will need to subscribe to the E5 plan and then add-on the PSTN Option. Prices are these services are not yet known. What’s really new here is that Microsoft is providing the carrier/PSTN services directly. PSTN for Lync Online has been available via partners in the past and will likely remain so. There’s also lots UCaaS providers that are offering an integration with O365. I’ve been previewing the Skype4B PSTN option. Microsoft was kind enough to give me a Washington DC telephone number so I can crank call my sister locally. If you would like to know more about how Skype4B, O365, Cloud PBX, and PSTN come together, check out my new TalkingPointz 2Pager. 2Pages of information that will answer at least some of your questions.